While most dogs can enjoy a specific toy during playtime, other dogs develop an unhealthy obsession with an object that needs to be addressed. Encountering a dog that shows signs of obsessive behavior is quite a common occurrence. 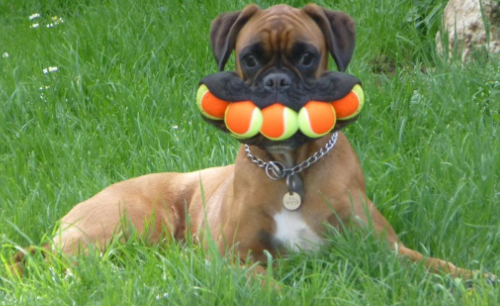 Does your dog simply love playing with their toy, or have they actually developed an obsession? A well-balanced dog will play with other objects and can easily be pulled away or distracted, whereas an obsessive dog seems to go into a trance-like state while playing with their favorite toy, and may even show signs of anxiety when they are separated from it. All dogs, like humans, are extremely different with varying personalities. While some are fun-loving and playful, others are more laid back and enjoy cuddling up on the couch. Additionally, there are some that are more on the neurotic side. Often times, pet owners will “work around” or simply dismiss the neurotic behaviors of their dog as it can be easier than addressing the cause of these quirks. A common neurotic response is object-fixation. You can recognize an unhealthy fixation through observing some of the physical signs of an object-obsessed dog, including: glazed eyes, stiffening of the body, or fixated pupils. Obsessive dogs may whine when separated from their favorite object or even show signs of aggression when a human or other dog tries to approach them. 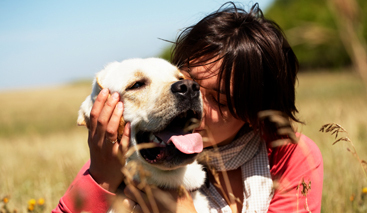 It is common for dogs with an abundance of energy to develop obsessive behaviors. If they are not shown the appropriate outlet to release their energy, they might develop an obsession out of boredom. 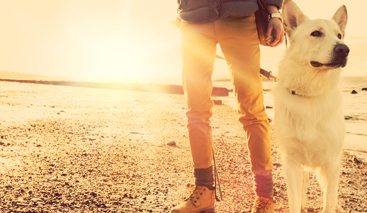 Providing a dog with structure and exercise will help to dramatically reduce their obsessive tendencies. To overcome an object obsession, a dog owner must learn to set boundaries. 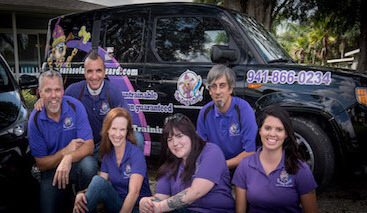 With the help of the professional dog trainers at Sarasota Dog Wizard, you can learn how to successfully start and end playtime sessions for your pet, so that they understand when it is time to separate from the favorite toy. The concept of creating boundaries and rules for playtime can reduce the obsessive behavioral responses. If a dog is separated from the object and given other stimuli to distract their mind, they will eventually learn to associate the object only with playtime. Ignoring your dog’s obsession can be a big mistake. A dog that is permitted to continue their obsessive tendencies may develop even worse behavioral issues over time. Obsession can manifest into aggression. Behavioral modification is necessary to help overcome your dog’s obsession and improve their frame of mind.